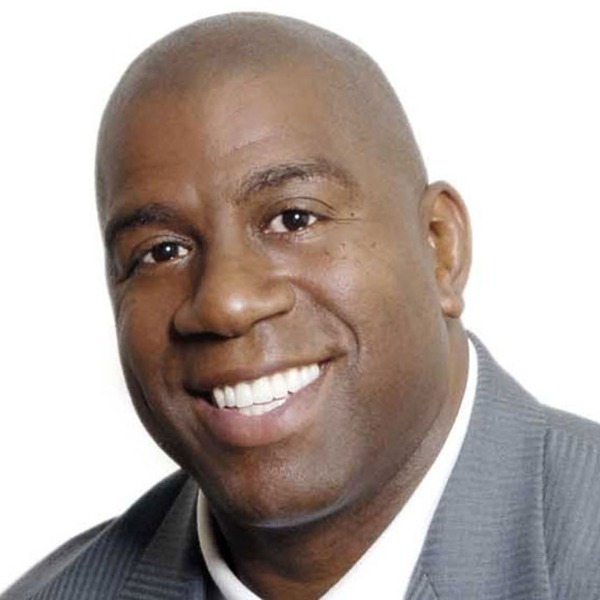 Earvin "Magic" Johnson is the Chairman and Chief Executive Officer of Magic Johnson Enterprises, an investment conglomerate valued at an estimated $1 billion dollars. Since retiring from the NBA over 20 years ago, the legendary basketball star has morphed into a business powerhouse who has dedicated his life to leaving a positive impact in underserved urban communities. Having left the basketball court for the boardroom, Johnson parlayed the skills and tenacity he acquired on the court into a winning formula for his successful business ventures. With his continued love of basketball, Johnson is utilizing those same skills and winning spirit in his role as the President of Basketball Operations for the Los Angeles Lakers, working closely with ownership throughout all areas of the franchise. The Lansing native is constantly evolving and remaining relevant in a dynamic digital age by broadening his scope into infrastructure and technology. Through a newly formed fund, Johnson is investing millions of dollars on infrastructure improvement in the United States. Operating under the philosophy that true success is making others successful, he is one of the leading investors in a number of minority-owned tech companies that include Unchartered Play, a company dedicated to producing clean power energy-generating play products; ShotTracker, a company that makes wearable technology for basketball players that helps track player and ball movement; Jopwell, a diversity and hiring recruiting platform; Walker & Co Brands, a company that develops health and beauty products for people of color; and MiTú, the Latino-fueled media brand and digital network that connects thousands of Latin content creators with viewers around the world. He is deliberate in his investment strategy to bring positive impact to the community. Johnson proudly serves as Chairman and Founder of the Magic Johnson Foundation, who has awarded over $21 million in grants – cash and technology hardware/software – and made a positive impact in the lives of over 500K individuals through various program and social efforts. The Taylor Michaels Scholarship Program has graduated over 435 students, the HIV/AIDS initiatives have tested over 40K individuals, and 15 Community Empowerment Centers have provided technology access to over 260K individuals. Remaining true to his humble Lansing beginnings, he is unwaveringly dedicated to working with major corporations and partners to bring jobs and high quality products and services to underserved communities.